A Clubhouse is first and foremost a community of people who are working together toward a common goal, recovery from mental illness. Our community is organized to support individuals living with the effects of mental illness. Members are given the opportunities to rejoin the worlds of friendships, family, important work, employment, education and to access the service and support they may individually need. Learn more about the Components of our Clubhouse. Acceptance, belonging, friends, responsibilities, hope, guidance. Painting Pathways has been a place for me to socialize and be creative. Painting Pathways Clubhouse has turned my life upside down, in a positive way. Before the clubhouse, I isolated and I was going down a very dark and dangerous path. I was a lost soul, looking for a purpose in life. Since coming to the clubhouse, I finally feel wanted, appreciated, loved, and at last, I have the family I’ve been searching for my entire life. What more could anyone ask for? Painting Pathways has helped me find constructive ways of handling my anger. Painting Pathways Clubhouse has helped me realize that I am not the only one with problems. People here show me kindness and it’s a community of healing. Every part of every day is great here at PPC. I enjoy coming here and doing some work for others. I also like their dinner very much. I am 80 years old, and it gives me something to do. Painting Pathways has been a fun/safe place I can socialize and be productive. I enjoy the environment and fun spirit here. It has really helped in a lot of aspects of my life. The clubhouse helps me cope. For me, Painting Pathways has given me a non-judgmental family in which I am able to share the challenges I face in life. I’ve never had the support of my family, and society has judged me so harshly that I struggle with anxiety, depression and post traumatic stress disorder. I also face a devastating disease which I focused so much on, that I couldn’t see anything good about myself and felt like I didn’t deserve the good things or loving relationships. Painting Pathways changed my mind and changed my life. It means a lot to me. I have agoraphobia, and I used to not leave the house. However, I now joined the Clubhouse and speak to other members that have the same issues. Painting Pathways has helped me meet people with some of the same problems and be able to talk about them openly. Have a signed referral form from your doctor confirming you have a diagnosed mental illness. Please mail, hand deliver or fax referral form to 920-268-4555. Members who actively participate in their wellness and increase what they view as a higher quality of life should be able to demonstrate good decision making in their choices of community and domestic activity. Painting Pathways Clubhouse feels that through participation, members should be able to demonstrate good stewardship which will be indicated by reductions in the number of costly hospitalizations, the amount of time spent in jail and the number of members who are homeless. Membership at Painting Pathways Clubhouse is voluntary as is participation in all aspects of the wellness program. 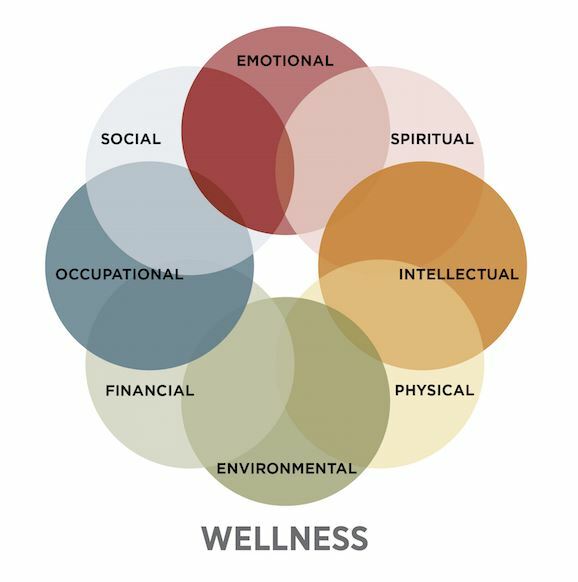 Painting Pathways Clubhouse addresses each of these components to ensure that all areas of wellness can be supported for better overall recovery. Want to learn more about becoming a member? A prospective member is always welcome to come in and receive a tour to view the process of a work-ordered day! We are here to help. Please give us a call for more information about becoming a member. Download a copy of the Painting Pathways Clubhouse brochure.